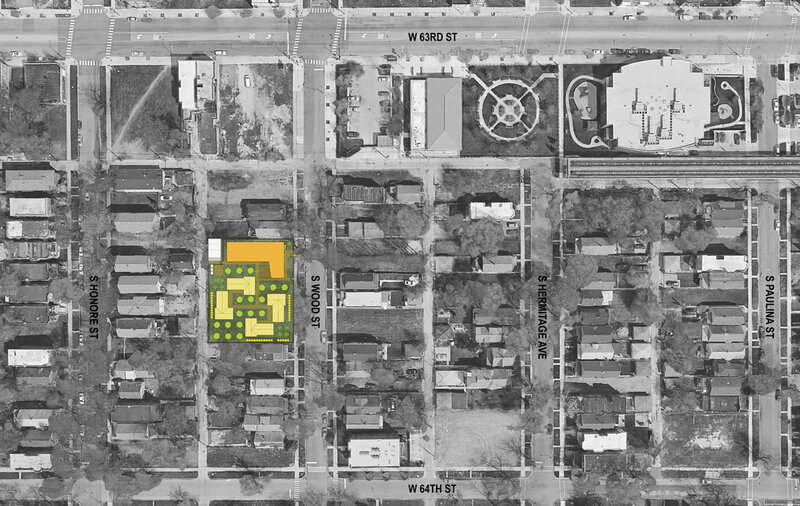 A proposed development of 10 tiny homes in West Englewood, to serve youth experiencing homelessness who are in education and job training programs at city colleges. The project will occupy 6 currently vacant lots and includes a common building with support services for the tenants and the surrounding community. Navigating zoning requirements for a new building typology not addressed by the current ordinance, and gaining support and funding for an unconventional approach to housing; Balancing the needs of multiple groups and stakeholders; Currently investigating the potential of the project to achieve net-zero energy usage.